If the decedent left a will, it is likely that he also named an executor to carry out the terms of the will. Generally, the testator, or the person who drafted the will, will appoint a trusted family member to serve as the executor. But the testator may instead appoint a friend, a bank or a trust company to act as the executor. State law may restrict who may serve as executor -- some states provide that the individual must either be a resident of the state or a relative of the decedent. 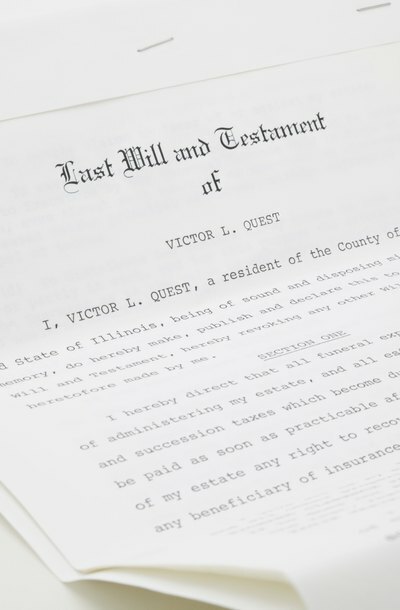 After an individual passes away, his will is submitted to the probate court, which supervises the process of distributing assets under the will and appoints the executor. In most cases, the probate court follows the decedent's wishes for the executor, as long as the executor is qualified to serve. If not, or if the will does not specify an executor, the probate court will appoint someone to serve. Generally, the court will appoint the spouse if the decedent was married or another close relative, such as an adult child. In certain circumstances, and depending on the laws of the state, you may file an objection to the choice of executor. You need standing to file such an objection, meaning that you must have an interest in the case, generally because the decedent left property to you in his will. If you have standing, state laws may allow you to file an objection to the appointment based on the fact that the individual is unfit to serve. The court may look at incompetency, age, substance abuse, felony convictions, evidence of dishonesty, or similar factors to determine if the individual is qualified to serve an executor. After the probate court appoints an individual to be executor, he has a number of responsibilities. To begin with, the executor must take an inventory of the estate and itemize and value the decedent's personal and real property. The executor must also address all applicable debts and pay taxes for the decedent. Most important, the executor is responsible for distributing assets to the beneficiaries as requested by the decedent in his will. After all these duties are fully carried out, the executor may close the estate by filing a final accounting with the probate court. Blank Rome LLP: Standing to Contest Fiduciary Selection: Form or Essence?